Home / TOP STORY/ Sugar turns bitter for importers, sweeter for consumers! Sugar turns bitter for importers, sweeter for consumers! The new Government yesterday made sugar bitter for traders by slapping a Rs. 12 per kilo levy on imports with a ruling that the hike could not be passed on to consumers. The Finance Ministry justified the move on account of falling prices of sugar in international markets in addition to safeguarding local producers. Without giving specific numbers, a ministry statement said the levy was imposed on account of lower prices in international markets and a further declining trend and to support local production. The ministry said there would be no change in the prices for consumers and current levels of Rs. 95 per kilo of sugar in packet form and Rs. 88 per kilo for those sold in loose would be maintained. The Consumer Affairs Authority (CAA) has been directed to ensure maintenance of specified retail price in the market. Sugar importers and traders sounded wary when contacted yesterday following the Government’s move. 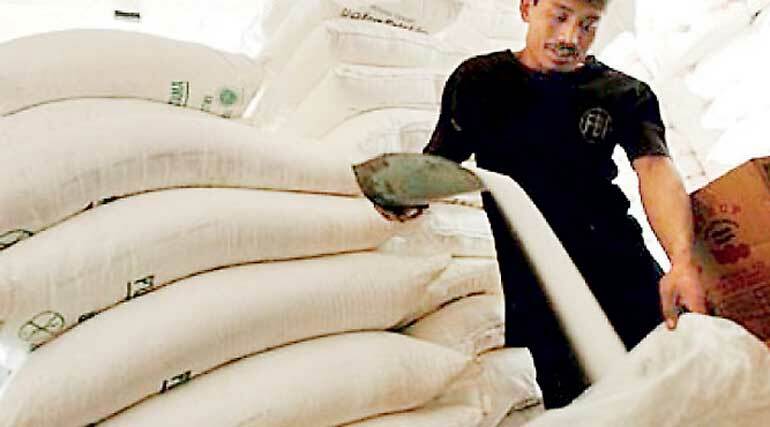 “Although the Government claims that global market prices have come down; it makes no sense as the rupee has depreciated against the dollar and the tax hike will have an additional impact on our margins,” an importer who wished to remain anonymous told the Daily FT.
Another noted that demand for sugar would remain intact as prices under the previous regime were much higher. He added that tax on sugar was 33% in the recent past yet people continued buying. Industry analysts opined that the trade would eventually pass on the additional cost to consumers since CAA oversight isn’t extensive or effective. According to Central Bank, the CIF price of a tonne of white sugar in international markets was $ 401 in June down by $ 109 or 21% over a year earlier. In rupee terms it was down by 19% to Rs. 53,713. Due to lower prices and volume, import expenditure on sugar declined by 54.7% to $ 18 million in June. However, neither the trade nor the Government had acted in passing on a greater reduction in recent months. In the first half sugar and confectionery imports amounted to $ 140 million, down marginally by only 1.7% over the corresponding period of last year. Analysts claimed that successive governments had resorted to levies and taxation at the expense of consumers to boost local production but moves haven’t yielded desired results in a significant manner. Although sugar production declined marginally in 2014, domestic sugar manufacturers in 2014 were able to meet 9.2% of the demand in the country in comparison to 8.8% in 2013. In 2014, domestic sugar production slowed down with the reduction in sugar production at Pelwatte sugar factory. As a result, total sugar production declined by 1.4% to 52,342 metric tonnes in 2014. In Sri Lanka sugar manufacturing takes place in three factories (Pelwatte, Sevanagala and Gal Oya) while the Kantale factory, which was not in operation in 2014, continued with sugarcane cultivation with an intention to recommence operations in the near future. 90% to 19,961 metric tonnes in 2014 as sugar cane supplies of private growers improved supported by an increase in extent cultivated and the use of high yielding varieties. A high price of Rs. 4,000-4,200 per metric tonne of sugar cane was offered by sugar factories in 2014 in order to encourage farmers to grow sugar cane for the domestic sugar industry. However, production at the Pelwatte factory, which is based on rainfed cane supply, declined by 36.7% to 17,964 metric tonnes mainly due to drought conditions that prevailed during the year. Production at the Sevenagala factory was marginally higher at 14,417 metric tonnes in comparison to 14,190 metric tonnes in 2013.